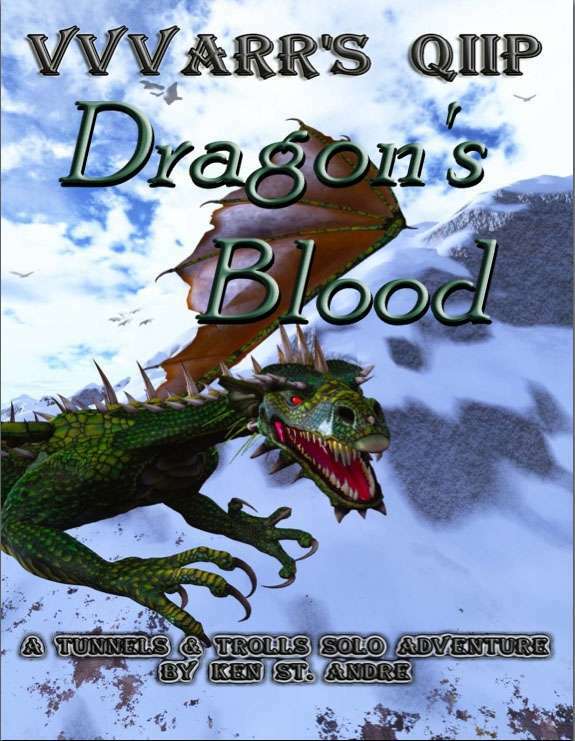 This is a solitaire adventure for Tunnels & Trolls version 7.5 (but it can be used with any version). It is intended for a 4th level or higher humanoid kindred; men, elves, dwarves, goblins, uruks, hobs, keleton-men, etc. It is not for trolls, ogres, giants, centaurs or any of the beast kindreds. Also it is not for wizards, but rogues are ok. This product also contains instructions for using it as a gamemaster adventure after you have played it solo. This title was added to our catalog on January 25, 2012.